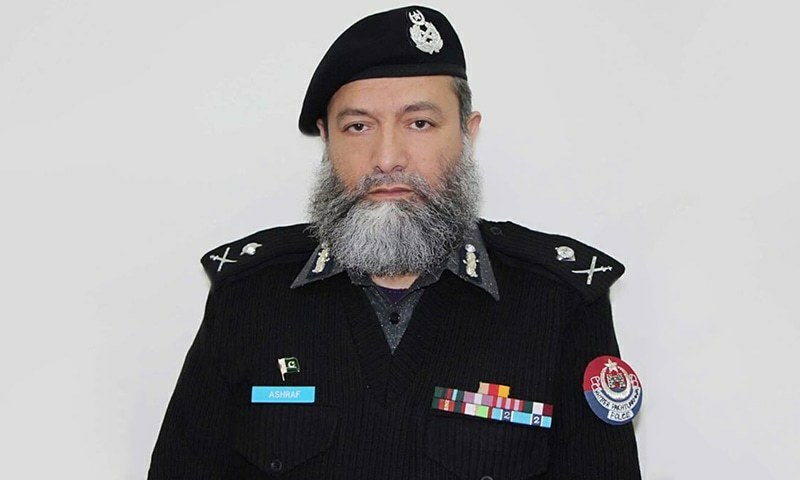 Additional Inspector General (AIG) Headquarters Ashraf Noor was martyred in a suspected suicide blast targeting a police vehicle in Peshawar's Hayatabad area on Friday, police officials told DawnNews. 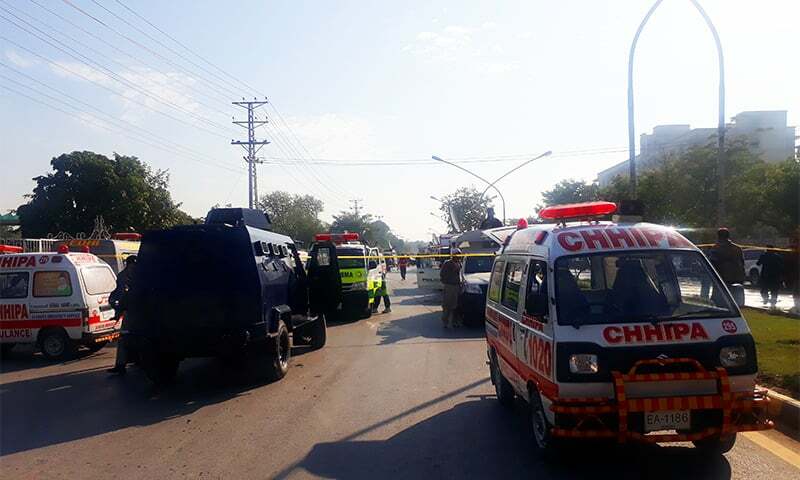 Capital City Police Officer (CCPO) Tahir Khan told DawnNews the blast appeared to be a suicide attack. 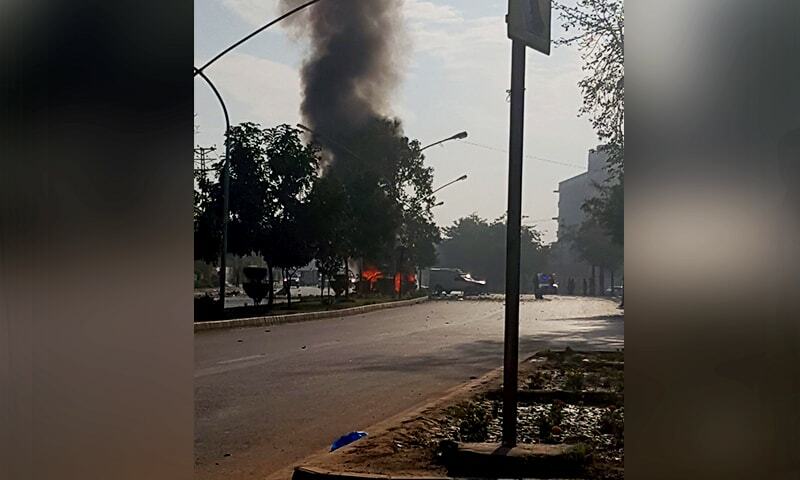 The suicide attacker, who was on a motorbike, rammed into the vehicle carrying the AIG and other police officials near Zarghooni Mosque as they were on their way to work this morning, the CCPO said, adding that the attacker then detonated his explosives. The blast left the police vehicle in flames, witnesses added. There are conflicting claims regarding the number of dead and injured in the blast, and their identities. According to CCPO Tahir Khan, who addressed the media following the blast, only AIG Noor had been martyred in the blast. Sub-Inspector Ejaz, a police official who was present at the blast site, said that the AIG had lost his life in the blast, along with two others ─ a security guard and the vehicle's driver ─ placing the death toll at three. An AFP report quoting police said that the AIG's bodyguard was killed in the attack, along with the high-ranking police official. A rescue emergency officer, Naveed, claimed that the bodies of two dead were transported to a medical facility, one of whom was identified as the AIG, and another a member of his staff named Habibullah. 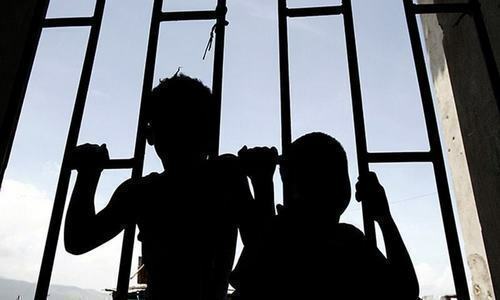 Inspector General Police Khyber Pakhtunkhwa Salahuddin Mehsud told AFP that five people, including three policemen, had been injured and were receiving medical treatment. According to an initial probe report compiled shortly after the attack, the suicide attacker was identified as an 18-20 year old youth. His bomb contained 15-20 kilograms of explosive material, the report said. He is believed to have been waiting at the site of the blast for the AIG's vehicle, and he rammed into the vehicle at a u-turn. Evidence has been gathered from the site of the blast for further investigation, the report said. According to DawnNews, it is the first time a police official of AIG rank has been targeted in Peshawar. AIG Noor was born in Gilgit Baltistan in 1963. He joined the police force in 1989 and was promoted to BS-21 grade earlier this year. He was set to retire in 2023. Prior to holding the position of AIG HQ, he was appointed AIG Elite Force Khyber Pakhtunkhwa. The KP Police Department issued a statement describing the AIG as a "principled and honest man". "His sacrifice has renewed our resolve to conduct ourselves courageously," the statement said. Security officials cordoned off the blast site. ─ Photo by Ali Akbar. "The KP police will continue to stand firm... Each police official from the IGP to a sepoy is ready to lay down their lives in this war [against terrorism]," the statement added. Prime Minister Shahid Khaqan Abbasi "strongly" condemned the murder. "Our resolve to eradicate the menace of terrorism can not be shaken," he said in a statement. After the blast, security officials cordoned off the site and began a search operation in the surrounding area. Although there has been no immediate claim of responsibility for the attack, the city of Peshawar has for decades been a victim of militancy due to its status as a front line for the ongoing war against terrorism as well as its proximity to the restless tribal areas and the Pak-Afghan border. The number of attacks in the country has fallen around 70 per cent over the past year, due to a combination of the military offensive against Taliban bases along the Afghan border and government initiatives to tackle militancy, but attacks on security and civilian targets continue to occur occasionally. The Pakistan Army had launched Operation Raddul Fasaad earlier this year in the aftermath of a fresh resurgence in terror attacks in the country. AIG Ashraf Shaheed embraced martyrdom. The killers of 200 innocent children, the enemy of Pakistan's progress- we know you, we've beaten you before and we will defeat you again. We need new management and fast. Had this nation been a company, it would have passed through the hands of mergers and acquisitions in a jiffy, but then this is a plutocracy of the willing. Another great son of the soil joins the elite. The enemy is clearly frustrated because all its efforts to stall Pakistan's progress are being thwarted. We will never forget our martyrs. RIP brave officer, we pray for you and your family. Very sad incident.....Reminds of martydom of on of the best police officers Saad Shaheed. Police is on the frontline in fight against terrorism and crime and it looks like a plan to demoralize them. Could be for other reasons too as the issues are complex. These are our real issues that need complete focus and dharna type nonsense divert attention from. Hope the culprits are caught and punished asap. Very bad news for us. The terrorists need to know that there is an infinite line of people like AIG Ashraf and Major Ishaq (martyred in Kohat) in Pakistan. We can never be defeated. We are ready to fight for our motherland for ever. Govt should ban the sale of new motor bikes in the country other wise the whole country will be engulfed in this sort of voilence. Yet another son of the soil lost in the line of duty. We the people of Gilgit-Baltistan salute the brave heart. Pakistan losing senior Police officers (AIG/ DIG/ SSP/ SP/ DSP) at a very rapid pace. Why we failed to provide bomb proof vehicles to senior pisition ranked officers equivalent to SPs and above.These vehicles can be developed/fabricated locally at nominal charges and get rid of these expensive 4 wheelers like Land cruiser,a sitting duck.The terrorists aim is to target seniors to spread their message.A request to our brave government officials to get out of ego and travel in safe vehicles. Another martyr, another soul being taken away by the wicked but most importantly the family is left behind to face the perils of this ghastly world. police department of kpk province was deprived from the services of a brave police officer who lost his life in the line of duty. this is not only loss to police but also entire nation. O very sad nees for pakistanis . May he and his comrades rest in peace. Having said that, this is a rare suicide attack in 2017. They had virtually ceased since the retaking of North Waziristan. The perpetrators will be hunted down as those before them have. But its a bit strange that we see another such attack, the police need to find out why. In any such war peace does not come suddenly, such sporadic attacks may continue for a while, but in the medium term the militants have been crushed, the last remnants still need to be dealt with.